In skiing, dryness is bliss. The Obermeyer Bliss Insulated Ski Pant brings it with 15K/15K waterproof breathable protection that takes care of snow and precipitation while letting perspiration out. The pant's Thinsulate™ 40g insulation will keep you warm without undue overheating. Stretch fabric works with a stretch core lining and articulated knees to provide better fit and freer movement. Vents are added where you need them most, letting you cool down when extreme skiing gets a bit too warm. Other features include fully sealed seams, powder cuffs and a fleece lined waist. "What about pockets? Front and back?" 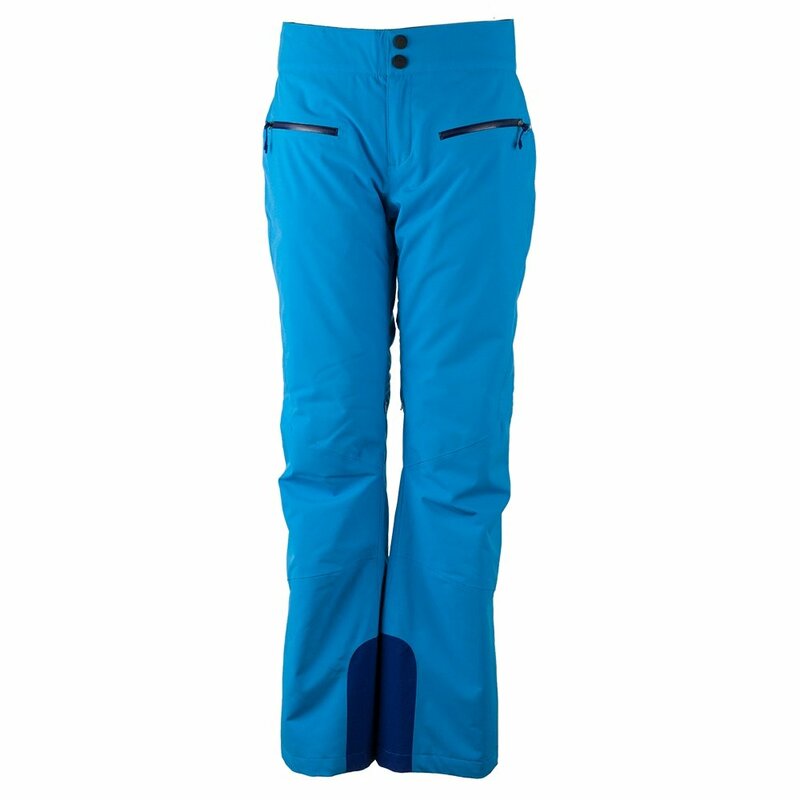 "The Obermeyer Bliss Insulated Ski Pant has 2 hip pockets and no back pockets. Hope this information helps!" "Can you tell me the actual inseam dimensions on the various inseam choices in size 4. Thank you"
"The inseam on the Obermeyer Bliss Ski Pant in a SIZE 4 is: SHORT = 28", REGULAR = 30" and LONG = 32". Hope this information helps!" "How do you clean these pants? Machine washable?" "Thank You For Your Inquiry. Obermeyer has different care instructions for different products or styles. Always refer to the "care label" on the garment. Many are machine washable with the exception of fur and otherwise specified garments. We Hope This Information Helps!" This pants are very confortable and true to size. Highly recommended. This is a perfect fit for my round body! I'm 5'1 @130lbs and it's just right! Materials is nice too! I love these pants...I own 2 different colors! These pants are everything you could want in a ski pant...super comfortable,great fit and exceptionally nice material. I am 5'4" and 115 lbs with a slim build and a size 4 fits perfectly over layers.